Article about Intel's graphics solutions should probably begin with i768 from 1986, though i860 from 1989 is nowadays often considered more of a "3D accelerator". It was 25-50 MHz microprocessor with extensive floating point functionality. It's FPU could theoretically deliver up to 100 MFLOPS using single cycle MADD, and there was also dedicated 3d fixed function hardware for pixel interpolation and z-buffer operations. Intel claimed high transformation, shading and fillrate figures, but real world usage could not get anywhere near and low compatibility buried its future as a CPU. But it was used also as a coprocessor or graphics frontend. Nevertheless, over the time this SIMD design evolved into widespread x86 extensions like MMX. Intel alos offered other products for graphics workstations like RapidCAD but these were just 486DX with crippled integer performance. In the wake of consumer 3d acceleration Intel decided to develop its own stand alone product competitive with best offerings. However complexity of modern graphics pipeline was a new challenge for Intel and rather than trying to do everything on its own a coalition was formed. Chips and Technologies, one of the leading manufacturers of graphics chips for notebooks joined in. Intel purchased the whole company in July 1997 and put their 2d expertise into good use. Crucial partner was Real3D with three decades of experience from space and military 3d graphics. Coming from a futuristic world of expensive simulations, Real3D was a spun off by Lockheed Martin and targeting growing civilian market. They already got trust from Sega to use their graphics in arcade machines, and even delivered own arcade hit 'Desert Tank'. Real3D then made a splash in professional market with powerful Lightning/100. They made a deal with Chips and Technologies to be their world wide distribution partner of high-end graphics. Sega intended to use Real3D technology in Saturn 2 but price seemed too high for a home system. And the price was likely limiting jointly developed PC product as well, since the Auburn did not exactly eclipse the capabilities of 1996 Sega Model 3. But at the time the divide between arcade cabinets and home computers was still large. Contemporary graphics accelerators did not fully benefited from Accelerated Graphics Port, new bus made specially for 3d accelerators that was introduced by Intel's Pentium II platform. Project Auburn should change that- in fact, it should have been the unique feature to trump the rest. The chip combining 2d of C&T with 3d pipeline by Real3D was named Intel740. In January 1998, just one month before launch, Intel started buying substantial amount of Real3D shares. Chips and Technologies adopted embedded memory early and succeeded in notebook market. However, at the time of acquisition they were losing market to NeoGeo. The i740 was highly anticipated, after all joint effort of CPU behemoth and architects of Lightning/100 did not need much of the pre-launch hype. Intel promised their 3d product will show true potential of AGP. Excitement was all gone when Voodoo2 launched at the same time and completely eclipsed it. It turned out i740 is not about performance leadership, but mid-range cost effectiveness. Facing fierce competition of rapidly developing 3d market Intel gave up on its expected 50% CPU-like margins. Taiwanese vendors jumped after the chip and lowered prices as much as possible, cannibalizing on Real3D's own Starfighter boards. And of course Intel had its massive OEM channels. The i740 had its place in the market, but much shorter and less glorious than Intel would like to attach to its brand. All of my Intel740 AGP cards have 8 MB of memory. It would be great to have variants with less memory to see how it performs with more buffers located in system memory. SDRAM or SGRAM memory runs always at 100 MHz and with 64 bit bus provides 800 MB/s bandwidth. Together with AGP 2x texturing bandwidth the i740 claims respectable 1.3 GB/s peak bandwidth. Local memory chips are usually rated for 10ns, that means minimal room for overclocking. I don't even have old enough Powerstrip to be able to change the frequency so overclocking investigation may come later. I tested the green one, but there is no real difference. Chips are shielded by heatsinks despite temperature tolerance up to ~100°C and BGA packaging transferring most of the heat to the PCB. The Intel740 is indeed designed for the AGP bus. Its architecture consists of dedicated engines executing in parallel to deliver high performance 3d, 2d and video capabilities. The 3d and 2d engines are managed by the pipeline preprocessor allowing them a sustained flow of graphics data. Instructions are sent to low or high priority FIFOs and there is of course DMA FIFO for batch processing, efficiently fetching instructions from AGP memory. High parallelism continues in 3d stages. The i740 can execute multiple 3d commands at the same time and each stage of the pipeline can simultaneously work on different primitives or portions of the same primitive. 100 MFlops full geometry setup engine culls polygons not facing viewpoint and is dimensioned for output of up to four pixels per clock for rasterization stage. Scan converter works in parallel with setup engine feeding texture unit with vital information such as fog, specular RGB, and blending data. Texturing supports power of two rectangular texture sizes up to 1024 x 1024. The texture unit not only has a texel cache for fast filtering, but also for both texture coordinate and blending data. Mipmapping is done accurately per pixel. Texture chroma and color key match are supported and two pass trilinear filtering was heralded, but I could not produce such a thing even without mipmapping. 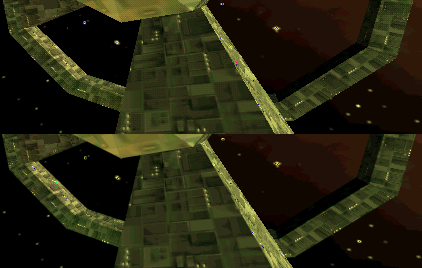 What I've seen with mipmaps on was a bit of dithering along the edges, which hardly improves image quality. In final stages of the pipeline are implemented all the blending operations game developer could wish for. Alpha and depth tests are conducted, determining whether the frame and depth buffers will be updated with new pixel values. Chroma keying or alpha testing are full speed, alpha blending causes a minor performance decrease. More programmable features of professional class Real3D products such as stenciling were dropped. Z-buffer precision was reduced to 16 bit logarithmic. The Intel740 is optimized for a 2d resolution of 1024x768 and a 3d at 640x480. It can render 366000 full featured triangles per second with an average of 105 pixels per triangle. This is enough to deal with 10,000 triangles per frame, between 75 and 175 pixels per triangle, at 30 frames per second. With polygons of this optimal size i740 really outputs its theoretical 66 megapixels per second in a Gouraud shaded scene. Adding fog, blending and speculars for every triangle does not cause drop bigger than 30% percent, which puts it in performance per clock next to, or even above, the legendary Voodoo Graphics. 230 MHz RAMDAC supports various palletized formats, with capacity of 256 16 bit entries for 8 bit textures. What makes i740 so special is AGP texturing. All other 3d accelerators with AGP texturing used it to upload textures faster through DMA mode in rare cases when local video memory is not enough. However the Intel740 abandoned texturing from local memory and can only use AGP memory. All of the local video memory is used for rendering and depth buffers. Most common are cards with 8 MB of memory, but even 2 and 4 MB versions were on sale. Two megabytes are enough only for 640x480x16 double buffered resolution, but the i740 can relocate pretty much any buffer to AGP aperture to get around this limit. After all, the chip in control of 32bit AGP addressing can use up to 2GB of write combined system memory. Putting the back buffer into AGP memory can be desirable to free up local memory for video overlay. The peak bandwidth of AGP 1.0 at 2x mode is 533 MB/s. Some of it is used for scene data and commands in any case of 3d rendering. Let's say i740 gains additional 500 MB/s bandwidth dedicated to texturing. Good for the card alone, but AGP memory is of course allocated in main memory. Back in 1998 PC66 SDRAM was common, with exactly the same bandwidth as AGP 2x. Main memory bandwidth can be crucial for performance with Intel740 AGP card as whole system performance suffers. Additionally the AGP memory latency, even with all the advantages over PCI bus, is higher then local memory. Intel and Real3D did their best to exploit AGP possibilities and deeply buffered the pipeline to hide host latencies. Sideband addressing is also implemented, allowing transfer of texture data and addresses at once. The real ace is direct "execute" mode- DiME. It would be impossible to get decent performance with plain AGP DMA transfers, where whole textures are being uploaded into local memory. The Intel740 can select only small chunk of texture if the rest of the raster map is not needed for rendering. Having reduced texture transfers to a fraction of usual amount the i740 achieves amazing performance considering its reliance on system memory. High ambitions of Real3D did not last long. It was only the summer of 1998 and prices of i740 AGP cards were already falling like a rock. 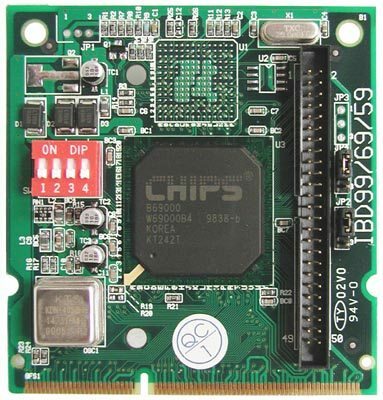 Because AGP was not yet so widespread PCI card was developed as well. It required special bridge chip emulating AGP texturing with on-board memory, since i740 can only work with AGP aperture. These more complicated boards with more total memory cost around twice as much as discounted AGP cards, but that was still reasonable. PCI Starfighters carried 8 MB framebuffer together with 8 or 16 MB of texturing memory. Not that many were sold and nowadays are valued by collectors. The R3D-040 bridge chip does not have any sign of Intel on it, so one can very well ask if the force behing AGP endorsed this PCI endavour of Real3D. When i740 AGP failed to reach high end expectations some reviewers blamed the AGP texturing for slowing down actually powerful accelerator. That is why PCI cards were supposed to do better, in fact it was widespread believe because nobody made a comparative review. Maybe it is about time to make one? Here are 12 and 16 MB variants of Starfighter PCI. The bridge chip not only manages local texturing from 8MB SDRAM chip(s), it also implements triangle strips and fans support. This vertex information sharing among triangles was a regular feature strangely omitted in i740, thanks to that the PCI cards have measurable advantage around 20% with many small polygons in a simple scene. But what about the local texturing, can we now unleash the full power of Intel740 by avoiding the 500 MB/s AGP "bottleneck"? If only people looked at the card. The SDRAM memory is rated with 10ns latency, so we can assume it runs at 100 MHz, 50% improvement over AGP clock. But it is using only sixteen bit data bus, half of AGP width and sideband addressing ability is lost as well. 16 bits means that Starfighter PCI can fetch only one texel per clock, which is often enough for the pipeline, but sometimes you need to do better. The upper half displays default settings, below is subpixel AA at work. 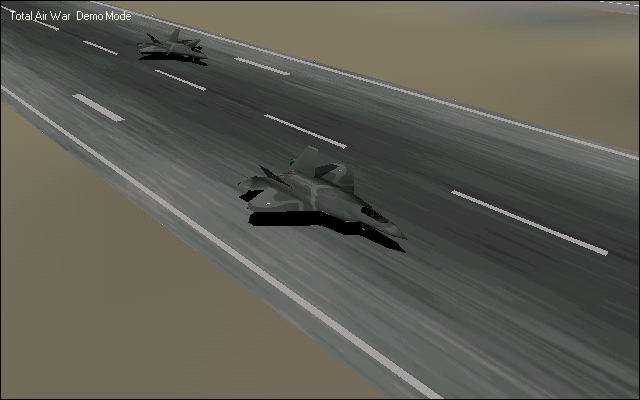 The Intel 740 supports, and with Starfighter drivers can even enforce, anti-aliasing (AA). Rendition was first with edge AA, Riva 128 introduced super sampled AA with incredible performance hit and now the i740 can do it sometimes at more acceptable framerates. Don't get your hopes up, framerate effectively drops to one third, but it is a step in right direction compared to the Riva 128. What more, I've found the compatibility is quite low, and older games with enforced AA usually end up unrecognizable. Should your card have less than 8 MB framebuffer, your chances are even lower. Despite all the image quality praise I have some doubts about subpixel accuracy of i740. There are often polygon gaps in several games like CartX Racing or Ultimate Race Pro. Sometimes unnecessary color banding appears like in red sky of Incoming. Drivers are probably to blame for some flashing textures in Unreal. Proper texturing in MDK requires chroma key blending. Terrain around the track of Daytona USA is a bit transparent. Also, I could not get first Motoracer bilineary filtered with last driver. Shadow of Grim Fandango has problems. That is pretty much all of my complains, gaming with i740 AGP on a system with strong CPU is very enjoyable and really fast. Only Falcon 4.0 with its benchmark settings is too much for this card. Turok on the hand reported incredible 160 fps. Probably error, yet the game runs quite fast on i740 in any case. While only 16 bit textures and 3d framebuffer is available, high internal precision usually delivers nice colors and subtle dithering. The PCI cards needs special driver and after Intel bought Real3D no more updates were provided. That means support for Starfighter PCI lasted only half a year. Very sad, but compatibility with old games is good enough. Only trouble is with Falcon 4.0, which freezes when haze is turned on. Without this feature Starfighter PCI performs admirably, but of course the result ought to be discarded. Viper Racing needs even older driver to run. Quality of texture filtering is great just like many other operations. Check out i740 gallery. 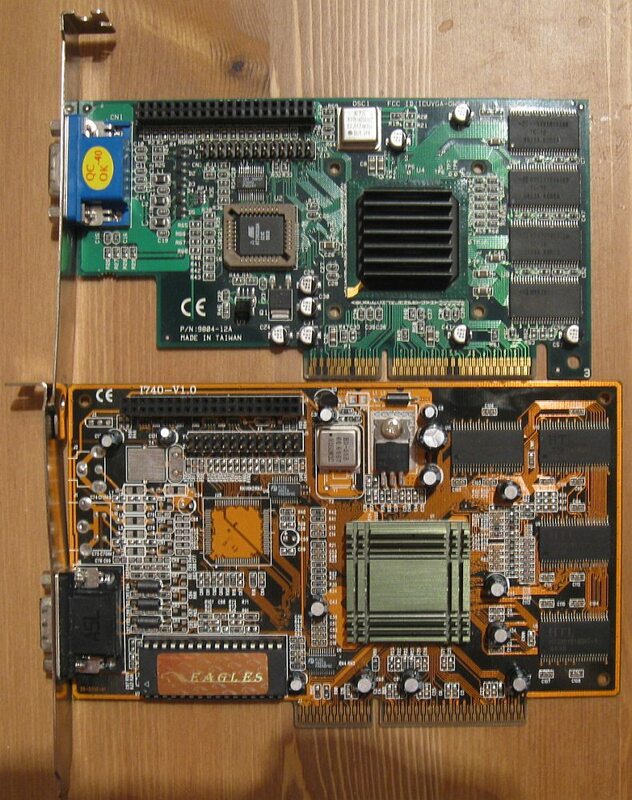 Before anything else I wanted to see impact of main memory bandwidth on this "vampire" AGP texturing card. By the way my setting for general testing is 100 MHz CL2. Choosing competitor for gaming benchmarks was easy. 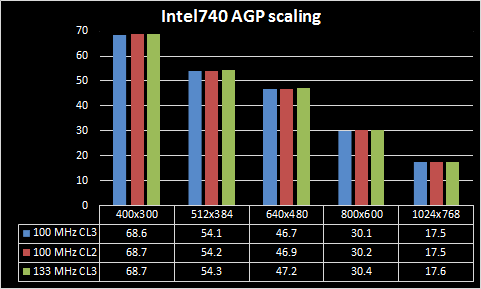 The Intel740 was not high end, but it is almost next gen architecture and has to challenge the best of last year. 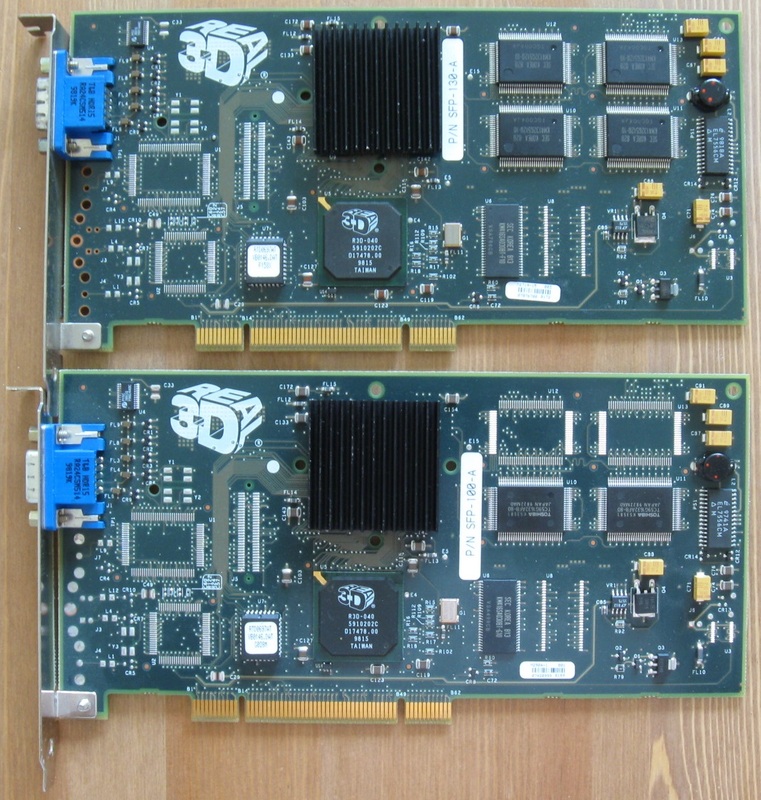 Nvidia's Riva 128 was a first successful obstacle to high end dominance of 3dfx in 1997. Throughout 1998 Riva's prices were falling and competed directly with Intel 740. And did you know it also had AGP/PCI execute mode long time before i740? OpenGL of Nvidia looks good, but that is partially because of disabled vsync. Quake 3 has little mercy for old 3d chips. In Direct3d AGP cards are trading blows, on average performance is equal. In minimum fps Intel takes the cake, leading by almost 10%. You can click on the picture to see minimal fps results. Starfighter PCI is 15% slower than its AGP counterpart. Image quality considered I would prefer the i740 to Riva, maybe even in PCI form. With price taken into account, only the PCI Starfighters were not so competetive, all the bad press AGP cards got does not seem so justified, at least on my systems. The Intel740 was expected to take large chunk of marker share, but instead struggled on mature markets. Who knows how much the i740 would fail if Intel did not bundle the chips at awfully low prices with other products in Asia? Meanwhile a refresh part was being designed, the i752. It was ready for release in spring 1999 but computer makers were not at all interested in it. Intel aborted the chip before high volume production and instead of improving they chose to scrap whole discrete video business almost immediately. Only few i752 cards made it into wild, making them super rare. But getting a taste of the technology is easy, since i752 was integrated into the i810 and following chipsets and served Intel's platform for four years. New features added were 16-tap anisotropic filtering, MPEG2 motion compensation, extended texture compression and embossed bump mapping. Another victim was new generation project i754, a high performance AGP 4x chip scheduled for fall 1999. 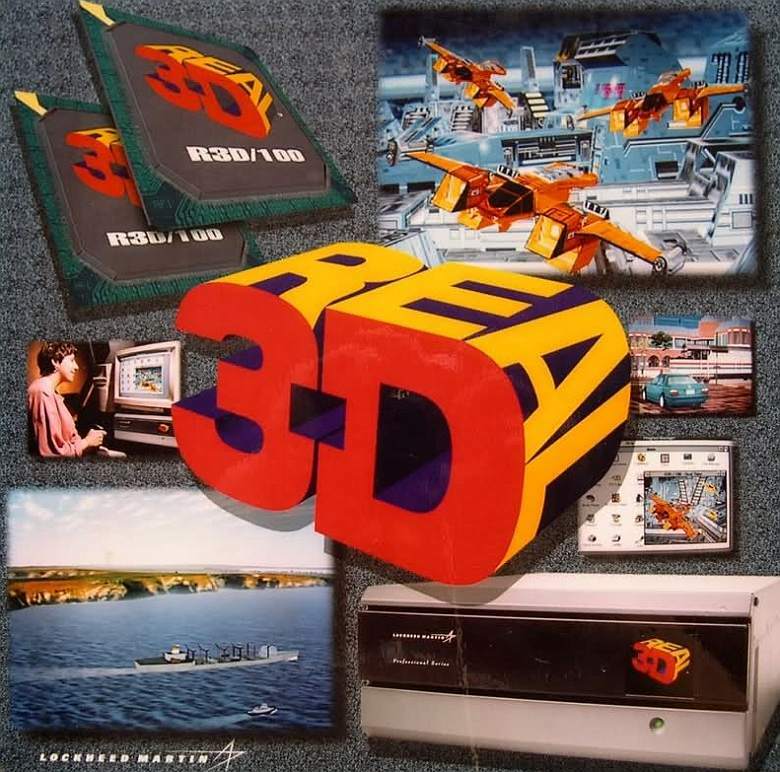 Lockheed Martin euthanized Real3D in October and sold its intellectual property to Intel. Most of Real3D staff ended there as well or chose always hungry ATI, also in Orlando. To this day Intel has not come out of its fortress of integrated graphics, but ambitions are still there as Larabee projects prove. Just remember the lesson of i740: if you want to sell to a gamer, better make sure your product stands up to your hype. Especially when you are named Intel.